DUBAI, United Arab Emirates (AP) — Qatar and the United Arab Emirates each extended a concession to an offshore oil field they share to a Japanese consortium on Tuesday despite a diplomatic crisis between the two of them tearing at the region. But even what should have been a routine transaction for the al-Bunduq offshore field in the Persian Gulf became yet another skirmish in the boycott of Qatar by Bahrain, Egypt, Saudi Arabia and the UAE. The al-Bunduq field, located some 200 kilometers (125 miles) northwest of Abu Dhabi and 100 kilometers (60 miles) east of Doha, has been shared between the two governments since 1969, before they declared independence from the British. It began pumping oil in 1975 and produced over 13,000 barrels a day in 2012, the most recent numbers immediately available. The field produces oil for United Petroleum Development Co. Ltd., which is a Japanese company owned by Cosmo Energy Exploration & Production Co. Ltd., JX Nippon Oil & Gas Exploration Corp. and Mitsui Oil Exploration Co. Ltd. That oil is sold into the Japanese market and in other Asian countries. Extending the long-standing concession didn’t appear to be in question. However, the ongoing boycott has seen the four Arab nations cut off land, sea and air routes to Qatar over a variety of allegations including Qatar backing extremists and maintaining too-close ties to Iran. Qatar, which has backed Islamist groups like the Muslim Brotherhood, has denied supporting extremists. It also shares a massive offshore natural gas field with Tehran. “There is no commercial or trading relationship being established between the UAE and Qatar by the extension of this concession,” the statement read. 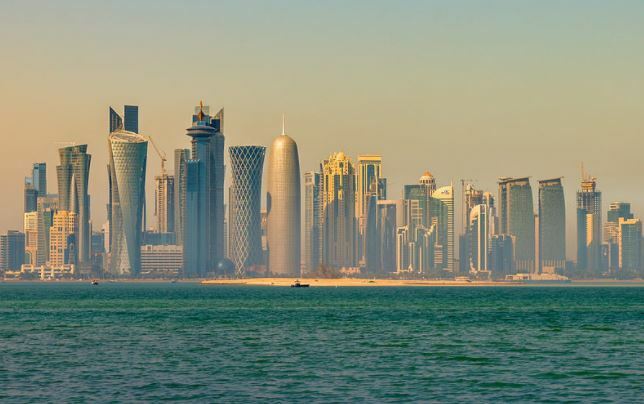 However, Qatar has not shut down its undersea natural gas pipeline running to the United Arab Emirates, a crucial power source for a desert nation that relies on desalination plants for water and air conditioners to cope with the scorching heat.